Sellers often want to put their home on the market for sale as soon as possible even if the home is not quite in showing condition. Painting, decluttering, or cleaning the carpets may be a few things that still need to be done. 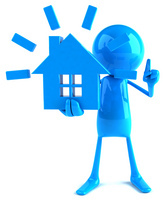 Sellers may wonder: Is it a good idea to put my home up for sale if it is not ready yet? Think about going on a first date. You plan what to wear, get yourself cleaned up, and fix your hair so you can make a good first impression; most people do not show up to a first date looking like they just rolled out of bed! When potential home buyers walk into your house for the very first time, you want to make a good first impression! After viewing many homes during their outing, don’t you want your home to be the one that left a long lasting impression? If someone does not get a good reaction from someone on the first date, they may not give that person a second chance. It is no different with your home, make a bad first impression and you most likely lost that buyer for good. Buyers have so many homes to look at, why come back to look at a home they did not really like in the first place? If you do not want to lose potential buyers, treat showings like a first date. Minor repairs or cosmetic touch ups should not be a problem but if you have a major bathroom remodel to complete, wait until the home is in showing condition before you put it up for sale. Trying to sell a home on a busy road?